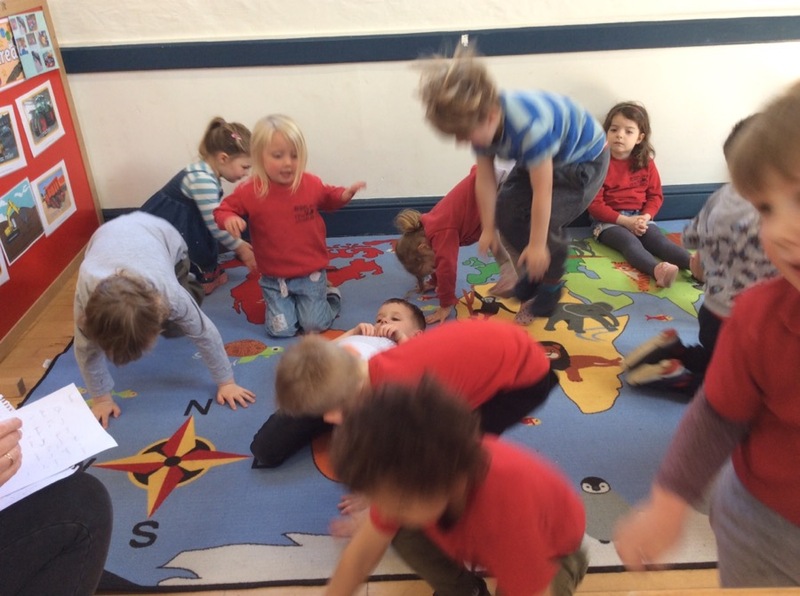 Another busy week filled with activities. 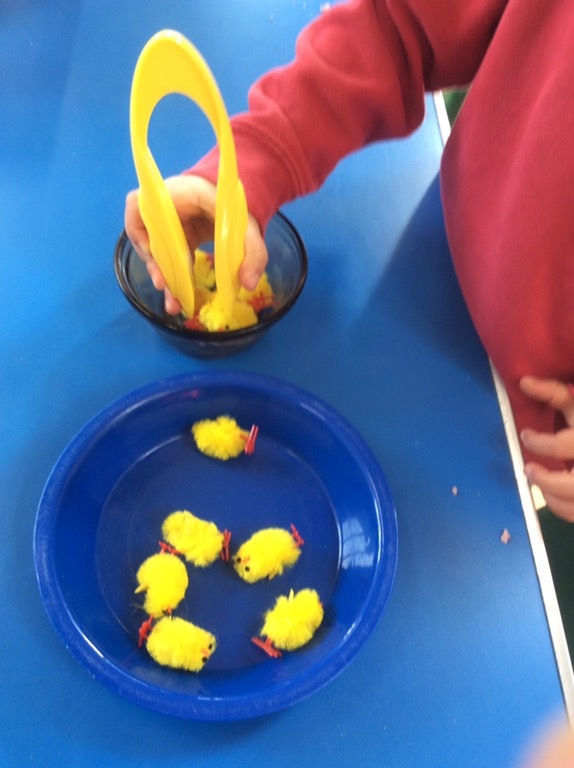 We’ve been looking at lifecyles of frogs and chicken this week. 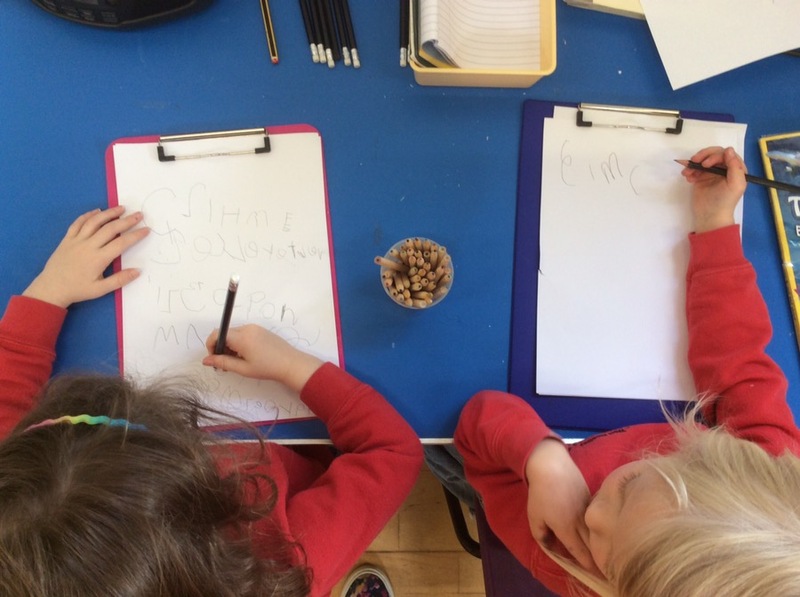 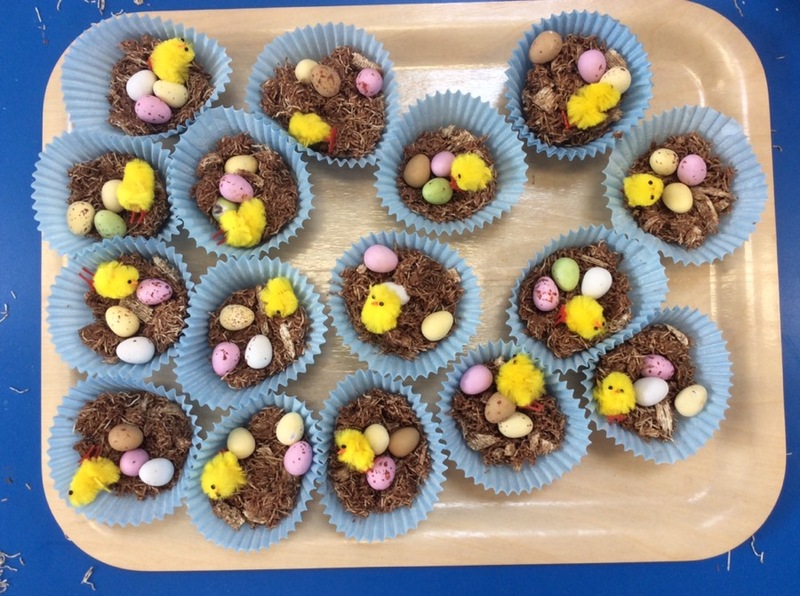 The children listened to stories of eggs hatching and used their imagination to pretend they were breaking out of shells or swimming like tadpoles. 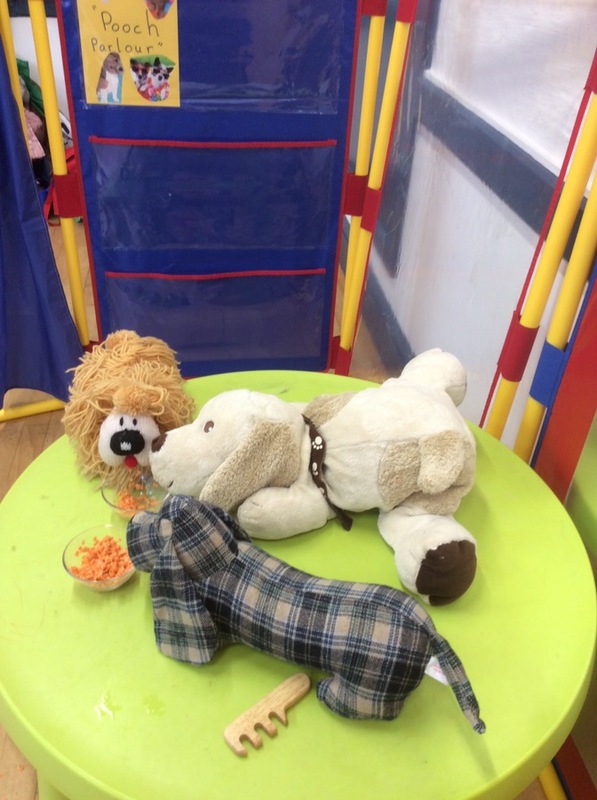 We have also had our Pooch Parlour in the home corner. 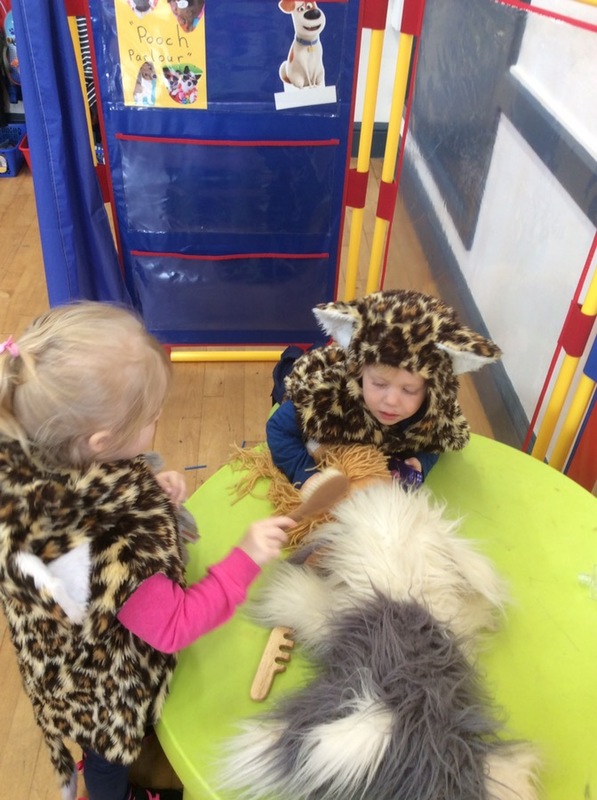 The children have been grooming, feeding and walking the dogs. 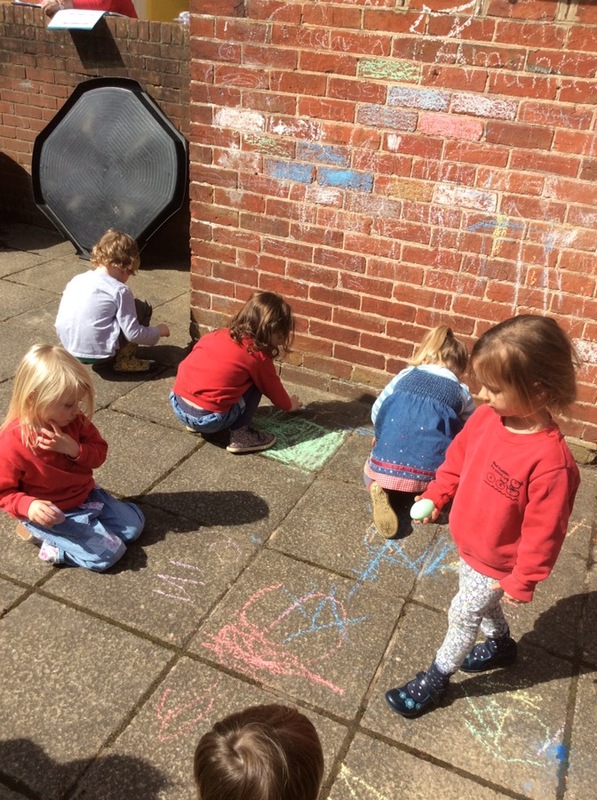 This has been a great area for creative and cooperative play. 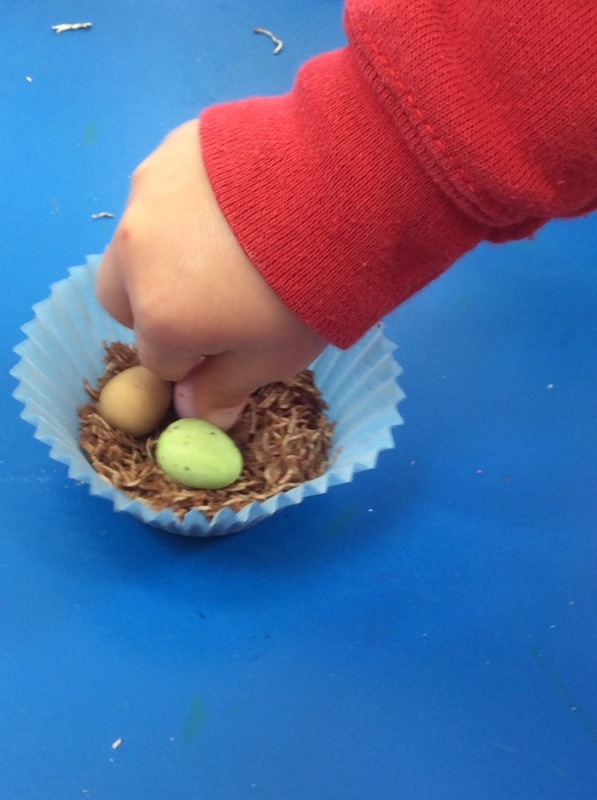 Today we made Easter Nests to take home. 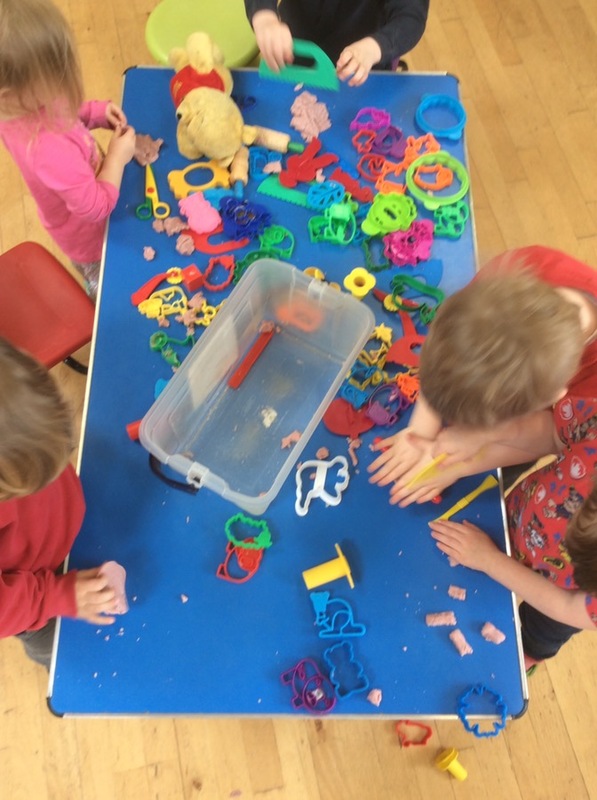 Lots of weighing, crunching of shredded wheat, stirring and discussions on how we heat and cool food. 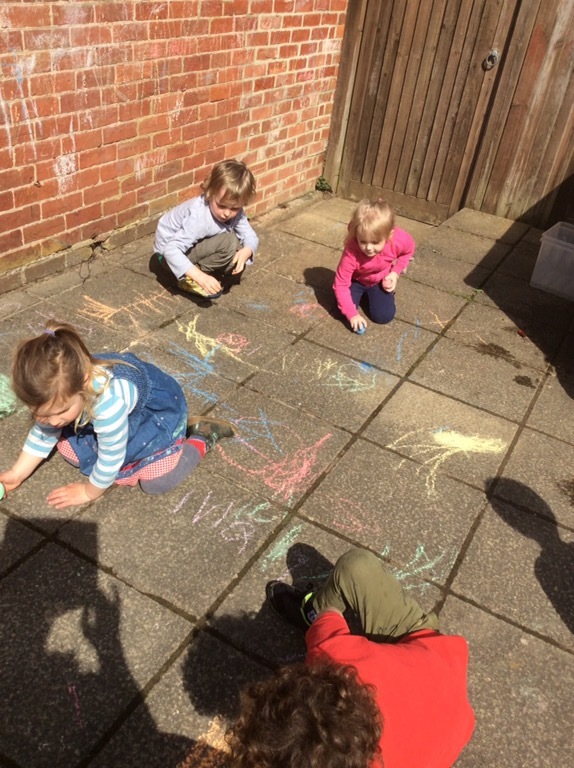 Out in the garden we were using our new egg shaped chalks to mark make.